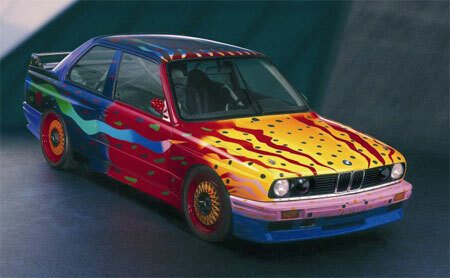 The BMW Group will be exhibiting it’s 4 BMW Art Cars in Asia, and the BMW Art Car Tour‘s first stop will be Malaysia. 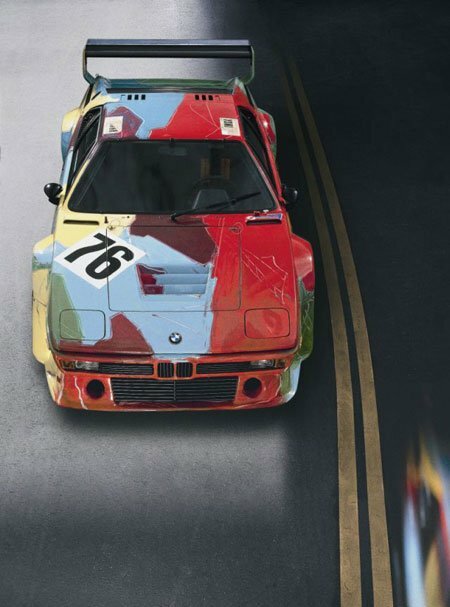 The BMW Art Car Collection was conceived by French race car driver and art auctioneer Herve Poulain, who sought to link his two passions – cars and arts. There are currently 15 BMW Art Cars, and 4 of them will be making their way to Malaysia. They will be displayed at the Petronas Art Gallery in Suria KLCC from September 14 2006 to October 22 2006. Look after the jump for images and descriptions of the cars and respective artists, courtesy of BMW Malaysia Sdn Bhd. His works of art can be found in Museums all over the United States including the Guggenheim in New York City. Born in 1936 in Malden, Massachusetts, Stella began studying art at the Philips Academy in Andover at the tender age of 14 and went on to study history at Princeton. After this, he set up a studio in New York in which many of his much acclaimed â€œTransitional Paintingsâ€ and â€œBlack Paintingsâ€ were produced. An exhibition of his works was held at the Museum of Modern Art as early on as 1959. During this creative period, the influence of the abstract Expressionists is unmistakable. His â€œpost-abstractionistâ€ work, mostly the large-scale pop-art paintings he produced in the 1960s are now considered art history. Between 1960 and 1980, Stella exhibited throughout the world, while continuing to work as a teacher. From 1978 to 1980, a traveling exhibition took place in the USA showing retrospective pieces of his work. His subsequent creative works since then consists of relief pictures. Frank Stella not only converts his ideas into various media with dramatic diversity â€“ he is also a passionate motor racing fan. For this reason, he was all the more determined to succeed as he set about the task of individually decorating a BMW Coupe back in 1976. While working on his draft version, Stella disassociated himself from his usual random style of painting and sought inspiration from the cars technical aura. The result: a black and white square grid with an evenness and precision reminiscent of oversized graph paper. Within this grid, pattern-like, dotted lines run across the bodywork, suggesting that Stella may have wished to cut out the car and reassemble it in a new shape. Born in New York in 1923, Roy Lichtenstein is generally regarded as the father of American pop-art. In the years prior to 1938, he painted portraits of Jazz musicians. After this, he attended courses held by the â€œArt Student Leagueâ€, then went on to study art in Ohio. His subsequent work straddled cubism and expressionism. In the late 1950s, Lichtenstein began dealing with trivial culture such as comics and advertisements. His first pop-art pictures appeared in 1961, their monumentalisation of the banal heralding a completely new style of art. Following his caricatures of the â€œAmerican Way of Lifeâ€, experiments with well known works of art and various sculptures and films, the Museum of Modern Art in New York held a comprehensive retrospective of Lichtensteins work in 1987. He died in New York in 1997. Taking a closer look, the cars design casts a picture of passing scenery in which both the car and its movement are one single entity. And although Lichtensteins comic art was already a thing of the past by then, his Art Car is clearly influenced by it: the long-drawn colored strips to act as â€œspeedlinesâ€ â€“ a feature used in comics to suggest speed. Even oversized dots used by Lichtenstein, the â€œBendy Dotsâ€, are reminiscent of his famous comic-strip pictures. The harmony achieved between the predetermined aerodynamic features and free composition is pure Lichtenstein. It is an expression of his artistic credo: art must be an element of everyday life â€“ its theme and inspiration must come form the lives of ordinary people. After its completion, Roy Lichtensteins Art Car celebrated not one, but two premieres: as a work of art at the Centre Pompidou in Paris, and as a racing car in the Le Mans 24-hour Race. It was driven by the Frenchmen Herve Poulain and Marcel Mignot. The car finished in 9th place overall and first in its class. Born in Pittsburgh, Pennsylvania in 1928, he studied from 1945 to 1949 at the Carnegie Institute of Technology and immediately after this, started a career as a successful graphic artist in the advertising sector. His work went on display as early as 1952 in New York; in 1956 he received the coveted â€œArt Directors Club Awardâ€. At his legendary â€œFactoryâ€, at which he employed a whole team of workers, classic art concepts were negated and overturned in an unprecedented manner. His â€œmass productionsâ€ of prominent faces became well-known, as well as painted trivialities such as soup tins and coca-cola bottles. Warhol died in 1987 in New York. Two years after his death, the Museum of Modern Art dedicated a full retrospective exhibition to him. In keeping with Andy Warhols view of art, a car as a rolling work of art is more typical than unusual. Anybody who declares soup cans to be a work of art or suggests closing a whole department store and keeping it as a museum for posterity must be unable to sense any conflict between functional technology and free artistic composition. The studio therefore became a â€œfactoryâ€, and the dichotomy between sophisticated art and everyday life was virtually eliminated. Andy Warhol set about work in an equally unabashed manner after being commissioned to transform a BMW M1 into an Art Car as he thought best. 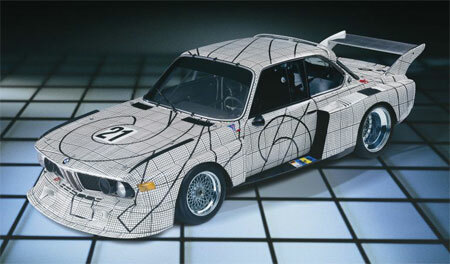 All the other artists who had previously decorated BMW racing cars had done so by painting a draft version on a scaled-down model; this was them transposed to the actual car by assistants under the artists supervision. Warhol, however, was the first to paint everything himself. By transferring his ideas to the car in his spontaneous and direct manner, he could only clearly stamp his own character on it. Ken Done – Creative, Optimistic and Bold. Ken Done, born in Sydney in 1940, left school at the age of only 14 and commenced his art studies at the National Art School in Sydney. After working for 20 years as an advertising graphic designer in Sydney, New York and London, he quit his profession to devote more time to painting. Since his first exhibition in 1980, he has rapidly gained a reputation as a leading Australian painter, to complement his established credentials as a top graphic designer. In 1988 he was commissioned to execute the exterior design of the Australian and United Nations pavilions at EXPO. Highly talented, Done is often engaged on several projects simultaneously. The lively colours and brush strokes of his pictures reflect the typical face of Australia â€“ landscapes, the animal kingdom, beaches and gardens. His works are on display at exhibitions and in museums and private galleries all over the world. After assessing the impressive series of works produced by his illustrious predecessors, Ken Done considered the task of painting a BMW racing car a huge challenge and a â€œgreat complimentâ€. He compared it to playing Jack Nicklaus at golf or having a car race against Nelson Piquet. During the creative process he was particularly conscious that the Art Car represented a linking together of artistic and technical modes of thought. Done had definite ideas from the very first moment as to how to decorate the car, On the one hand it was to express something of the fascination which the swift, high-performance M3 held for him, and on the other hand, it had to be typically Australian. The vitality and optimism of his home continent were to be much in evidence as things which he particularly appreciates about Australia. He therefore decided to paint parrots and parrot fish, as he saw a strong affinity between them and the BMW M3. The result is as appealing as it is original: Done has indeed succeeded in representing speed and beauty in his own unmistakably Australian style. Next Post: Suzuki SX4 Sedan Spotted!